I thought you should all see this PROOF that Shorty #2 does in fact hide things and I am not losing my marbles! 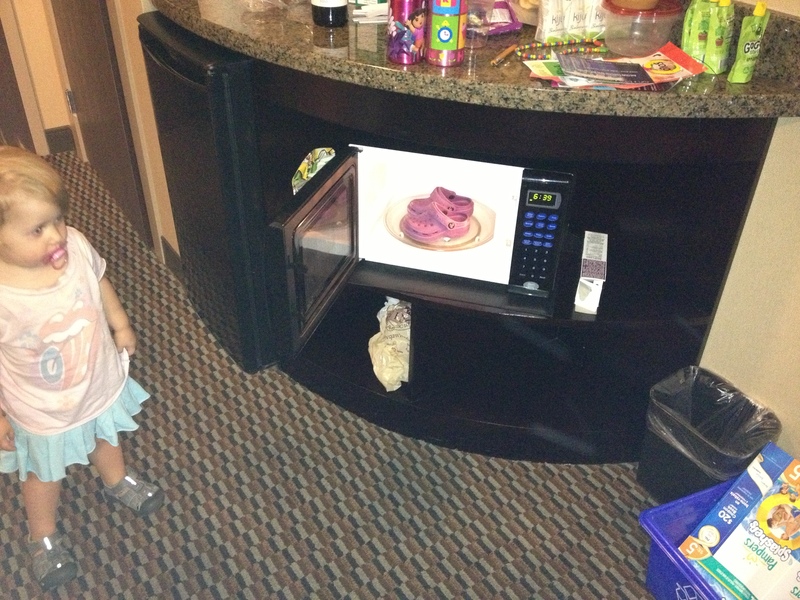 We spent the weekend in the Okanagan Valley and #2 hid her shoes in the hotel microwave. True!